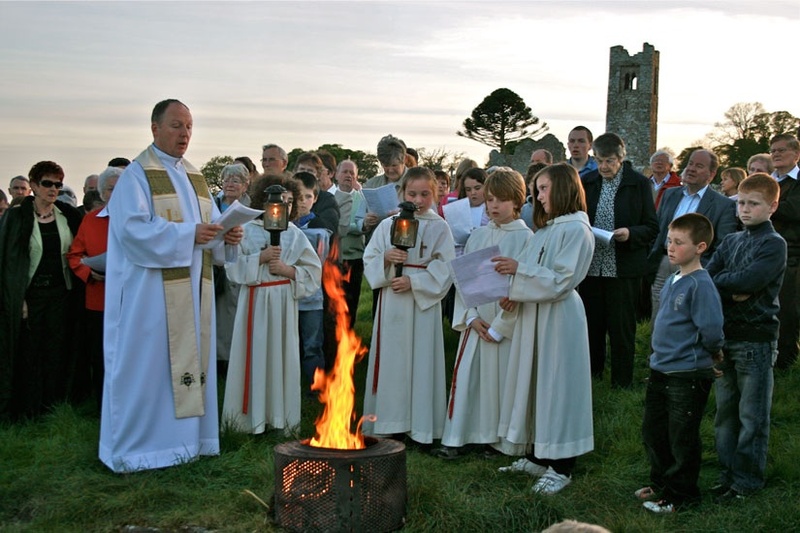 It’s Easter Holy Week in Ireland, and being immersed among a deeper see of Catholics than almost anywhere besides Vatican City, i’m intrigued at the faith and traditions that move this country and make it rich and sincere. The place is full of beautiful sites, ancient history, interesting people and daily cultrual conundrums of curiosity . for the national feast day). 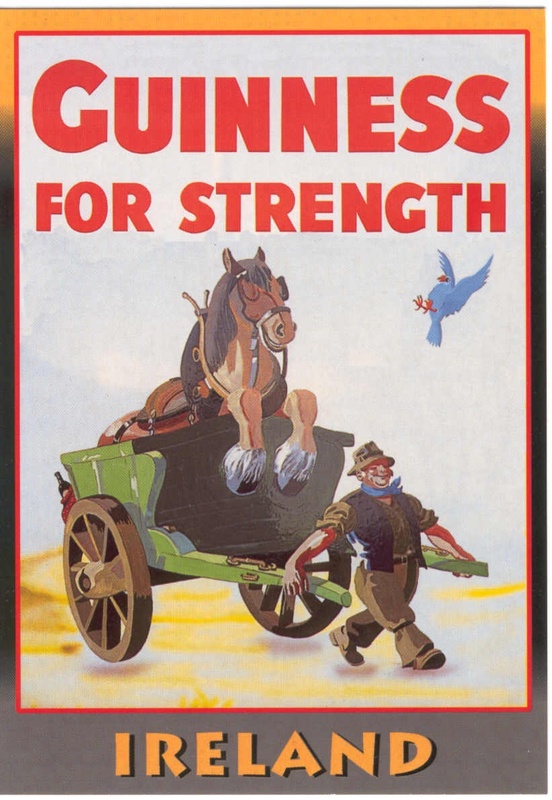 Oh the shock and horror to have been a tourist flying into Dublin today, anxious to find the nearest pub and sip your first pint of stout from the mother-land, only to find shuttered doors. 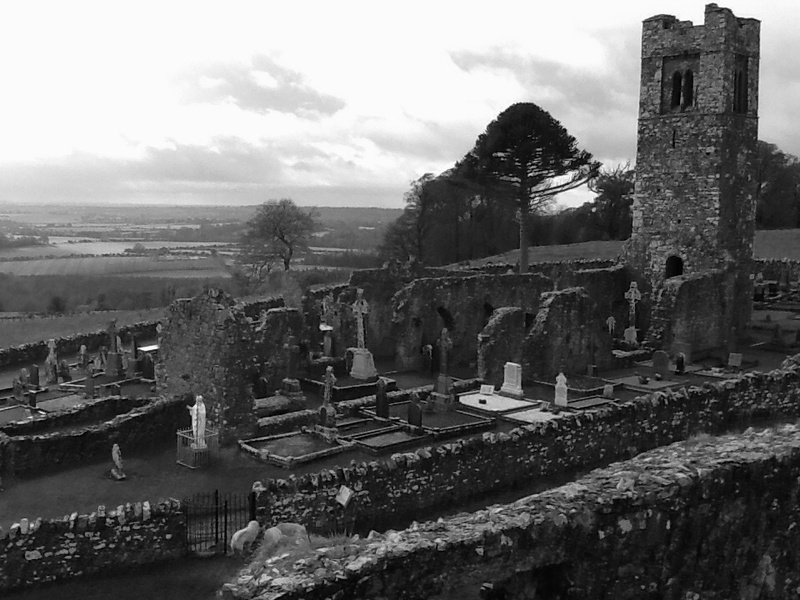 Father Joe and Slane Parish with the Holy Saturday fire on The Hill of Slane. 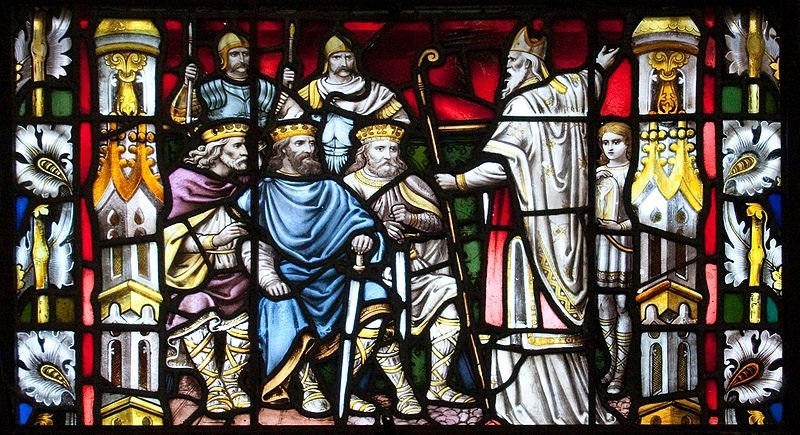 reenactments spanning 3000 years and culminating with St. Patrick lighting his pascal fire, ending with a spectacular fireworks extravaganza. It was a moving evening last year on that ancient hill, the community working so hard and near a thousand in attendance to celebrate. Im not an overly religious sort, but do attend church on occasion and have been known to wander into a church to light a candle and reflect a bit while on this journey. The historical aspect of faith is more intriguing to me than the faith itself, and i must admit that i take my religion as i do eating lamb – in small doses and when only really craving it. On this holiest of all Holy Weeks, the lamb of god is literally that! 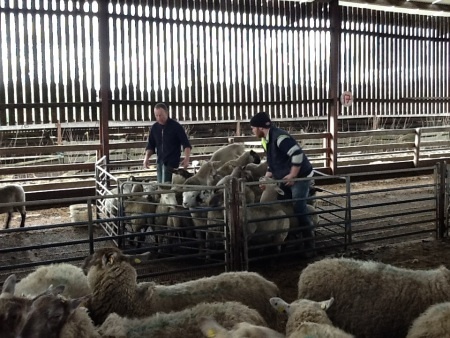 Derek Brangan & son Adam, part of a long line of Ardcath Ireland sheep farmers. Last year I posted on a local Irish lamb farmer but felt this weekend was ideal to again share a little more lamb with my readers. More than likely lamb became the hot menu item for the spring holy observance due to it being lambing season, the availability and freshness made it the most practical choice for the plate. Lamb has a distinctive flavor that lingers beautifully if done right, and sadly many home kitchens never welcome in this affordable (in Ireland but not so much in the States unfortunately) and healthy red meat. An animal raised almost entirely grass-fed, the health benefits are endless providing a great source of natural omega 3s, vitamin A & E, and cancer fighting CLA’s (conjugated lineolic acid). 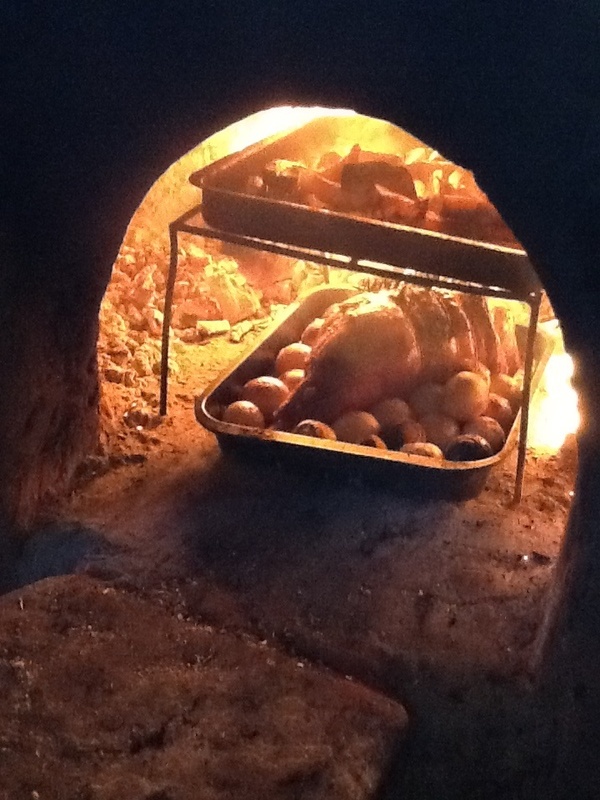 One of my most favorite meals yet was during my visit to the Gloustershire hills of England where one snowy winter Sunday, we prepared a lamb knuckle in a woodfire clay oven with whole onions, potatoes and cabbage. The lamb shank or knuckle is the rear leg and though a very lean cut can prove a bit tough if rushed in the cooking. Place the meat in a reasonable depth pan, mark small slits in the meat, stuff with olive oil drenched fresh garlic and rosemary and slow roast, basting with it’s own juices throughout. Simply delicious!! Whatever your religious or palate beliefs this Spring holiday weekend, treat it as a time to reflect. And of course don’t forget to enjoy that candy the Easter Bunny leaves behind in moderation! Love it Cody! So wish we could be there and see all the historical reenactments and festivities. Wow, a dry day is hard to conceive. Say hello to Freddy! Most definitely will!! So nice meeting you both tonight and having a proper pub chat, hope to see you again! 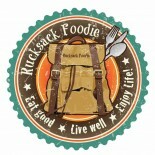 This entry was posted on April 18, 2014 by Rucksack Foodie in FOOD !, History, Ireland, Recipes, Traditions and tagged 1927 intoxicating liquor act, Easter lamb, Easter traditions, Flame of Slane, Good Friday, Hill of Slane, King Laoghaire, lamb shank, no pints, St Patricks Fire, St. Patrick, The Rucksack Foodie.